My medieval archivist colleague teaches a monthly paleography workshop for library staff; it’s one of the highlights of my day job. The entire point of the class is simply to improve our ability to read handwriting from the early modern period, chiefly through examples of secretary hand from 1550-1700. 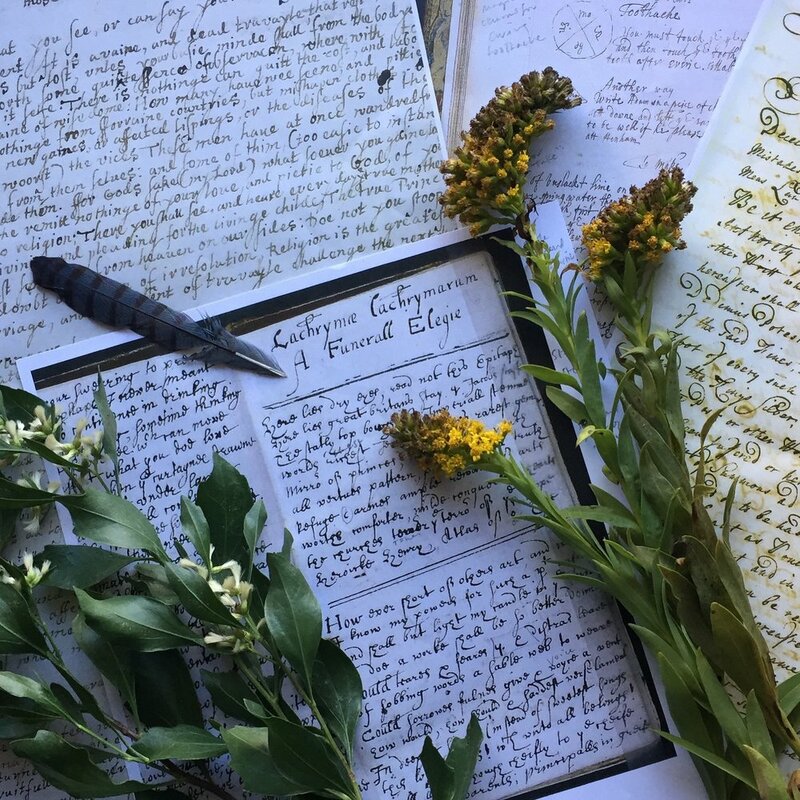 Recipes, correspondence, lists, wills, charters, newsletters, charms; anything and everything written by hand. The most challenging and most fun reads, however, are always poetry. So much so that “Bad Poetry in Bad Hands,” as my colleague calls it, is the uproarious highlight of any session. To honor its spirit I thought I’d start a column sharing poems from our vast collection of 15th-19th century English-language poetry in manuscript. Since I can’t promise that all the poems will be bad, nor all the hands they’re written in, a different title will have to do. Images courtesy of the Beinecke Rare Book & Manuscript Library. But I felt Robins dart. And wakes me but to weep. And peacefull as the Grove. A Tear hath Julia dropt. But mine must sorrow be.